With the release of the 2010 Lexus SC 430, we’ve likely seen the end of the second generation Sports Coupe—so what’s next? Could it look something like this? Found in a thread on Club Lexus, this unsourced Photochop shows the potential of the third-generation SC. Sure, there’s some awkward creases in the hood & side profile, and the overall look strays too close to Jaguar, but the rendering’s front-end is a very successful merging of the first & second generation SC designs. I also like the larger size and the LF-A-inspired front lights. I’m not usually impressed by photochops, but this has all the right elements. 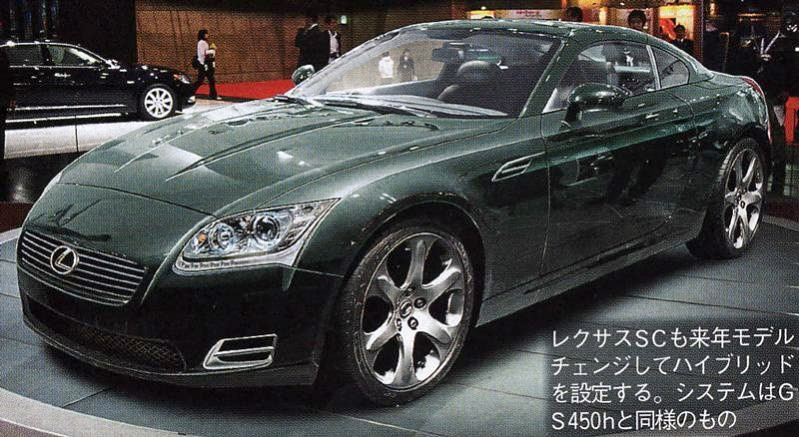 Lexus could do worse than follow some of this rendering’s design cues.